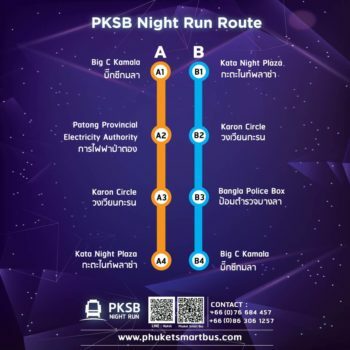 How to ride the local bus in Phuket? Where is the Smart Bus Right Now? 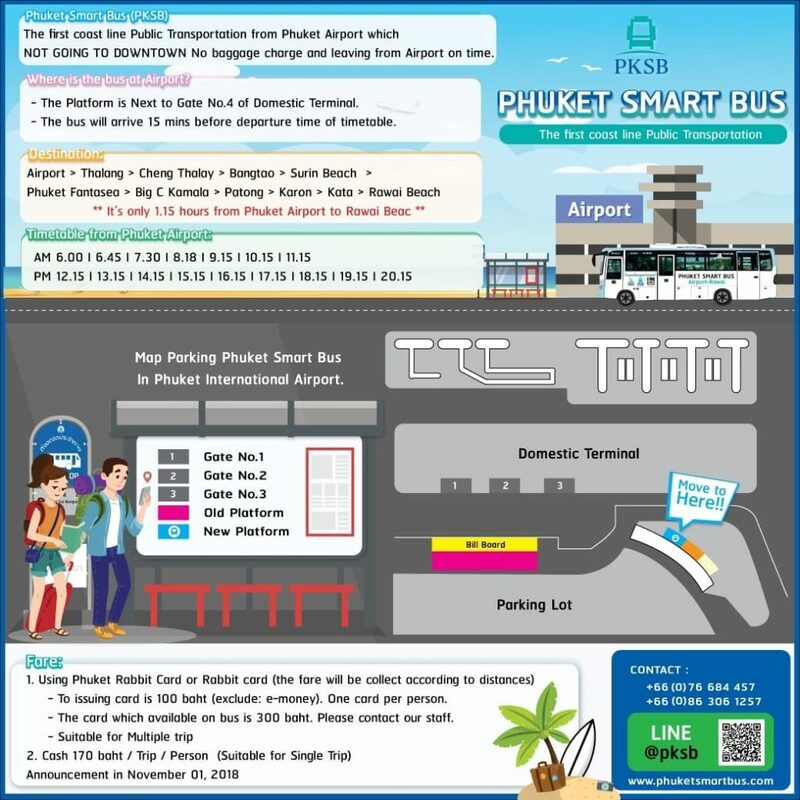 The Phuket Smart Bus is new and still trying to find its mark on the island. There are several ways to use Phuket local bus services. 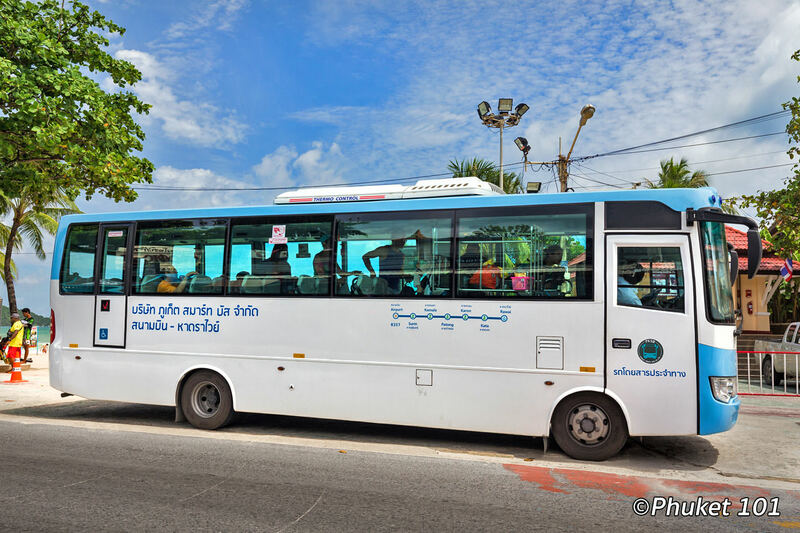 All are cheap, and all are slow, but if you are visiting Phuket with a small budget and if time is not an issue, you can save quite a bit of money by taking advantage of these bus options. 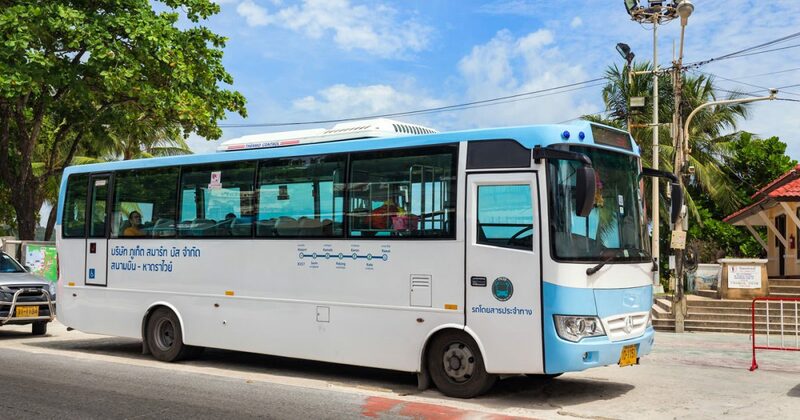 The new Smart Bus, which is the most interesting one for you, will take you from beach to beach, riding all the way from Phuket airport to Rawai beach and return. 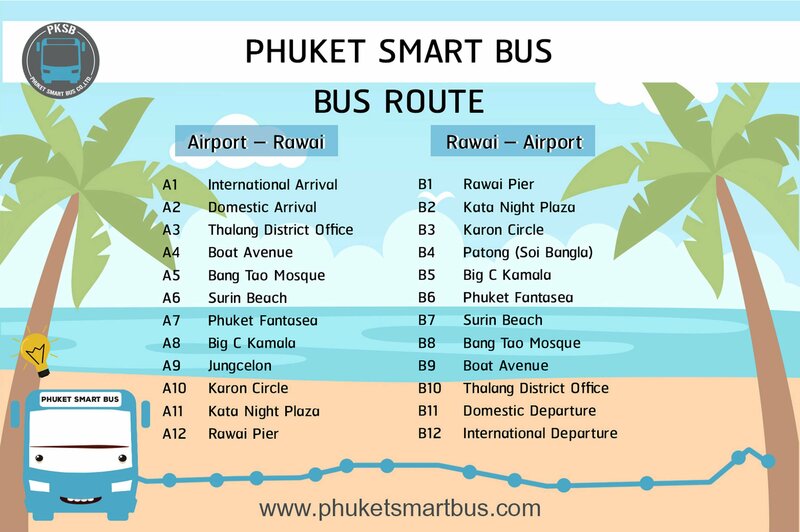 The Smart bus goes all the way from Phuket International Airport to Rawai beach and stops at 12 stations along the way, almost every beach on the west coast: Bangtao Beach, Surin Beach, Patong Beach, Karon and Kata Beach and finally Rawai. 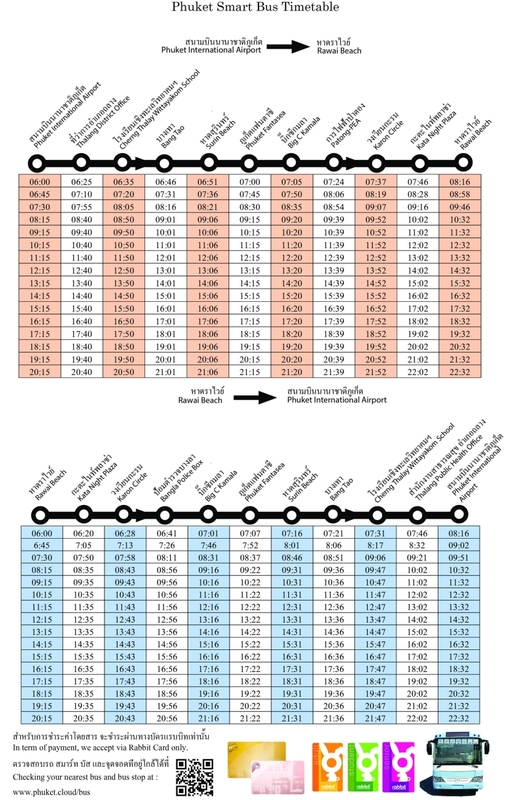 The rate is incredibly cheap, from 50 baht for the shortest distance and 170 baht for the longest ride. Buy a refillable Smart Card onboard to pay the fare (fare cannot be paid directly in cash). Refill is available in designated shops or restaurants around the island. NOTE: Phuket Smart Bus is free for kids under seven years old! Please show a passport and inform the staff at the airport or the driver. 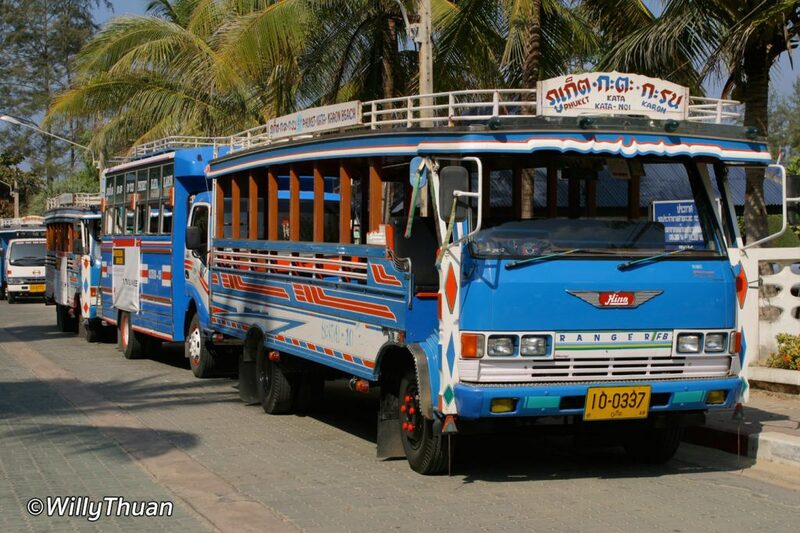 Patong: on the way FROM the airport, the bus stops as Jungceylon shopping mall. On the way TO the airport, it stops on the beach at the start of Bangla road. 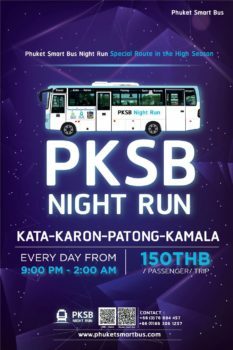 Phuket Smart Bus that goes between beaches will run every hour until 2 am between Kata – Karon – Patong – Kamala for 150 baht per person. 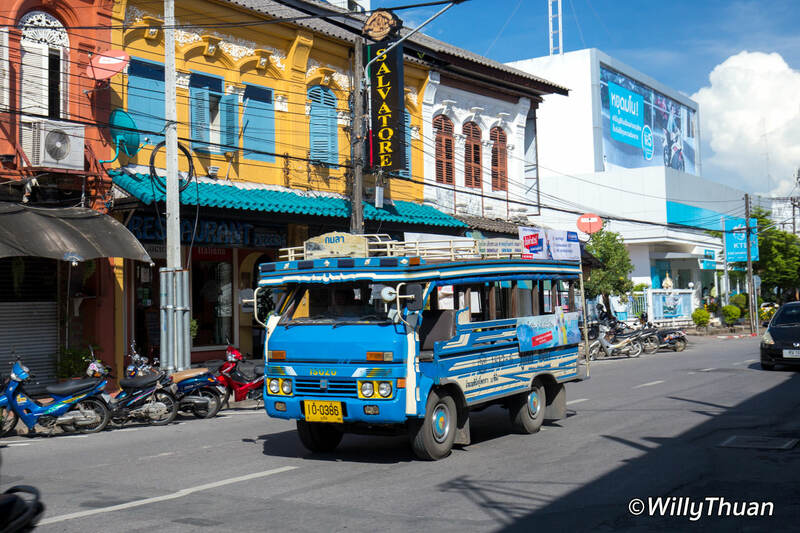 The oldest and best-known local bus is the Blue Bus (known as Song Taew). It often looks more like a wooden truck than a bus as you know it. 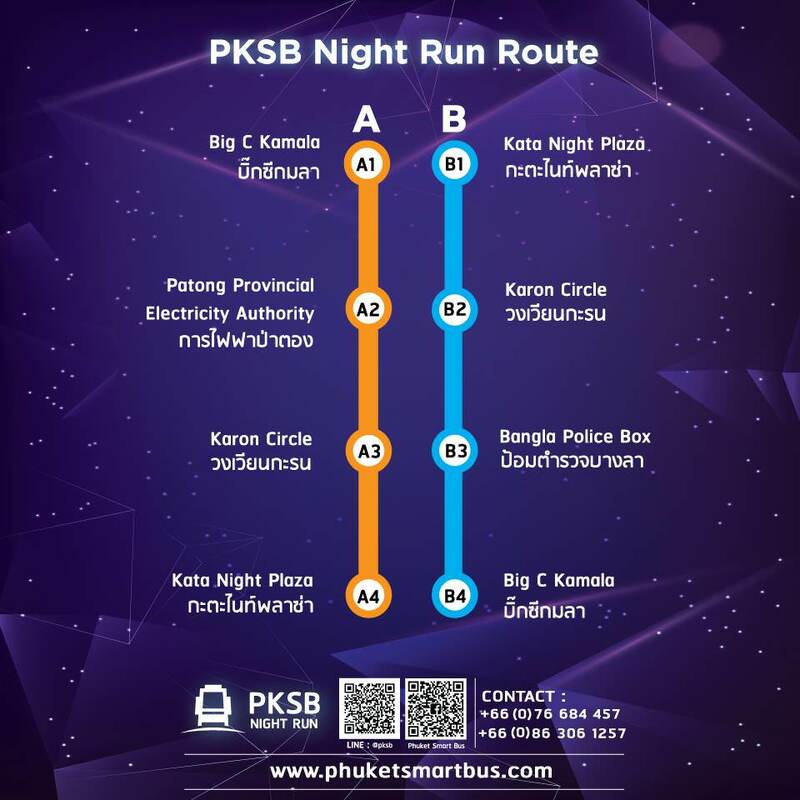 Those will only take you from Phuket town to a beach or a small set of beaches, but not between beaches. 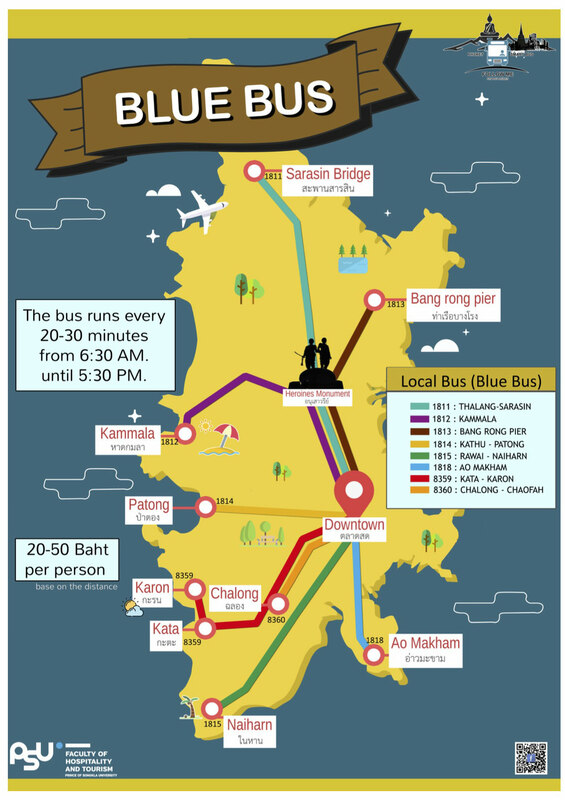 That blue bus leaves roughly every 30 minutes from 6 am to 6 pm, and a ride costs 30 to 50 baht. 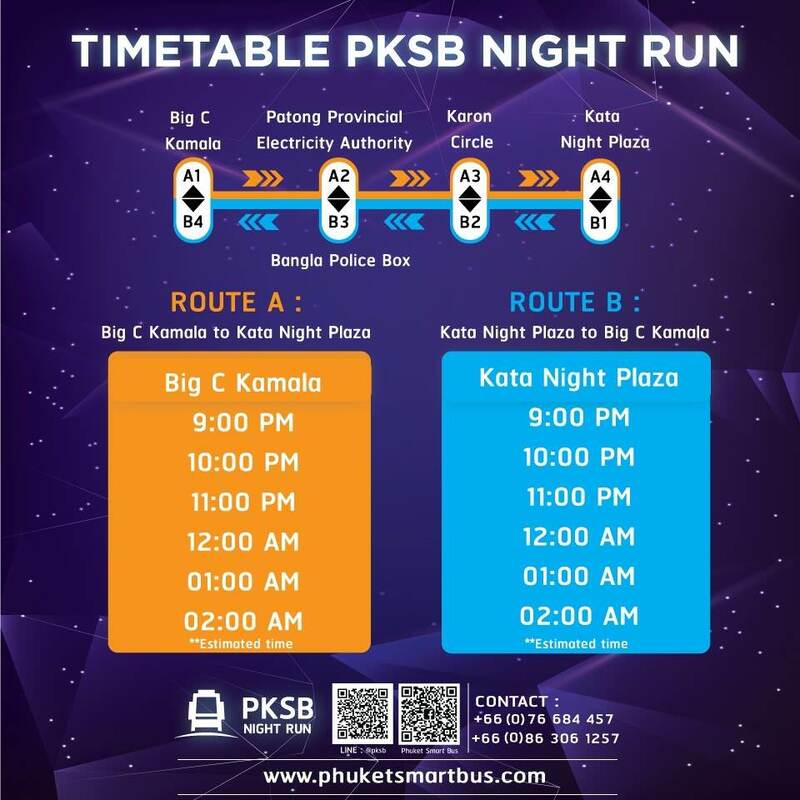 A typical trip from Phuket Town to Patong can last 50 to 60 minutes, but you need to add the idle time waiting for a bus to arrive, plus the frequent traffic jams on the way. 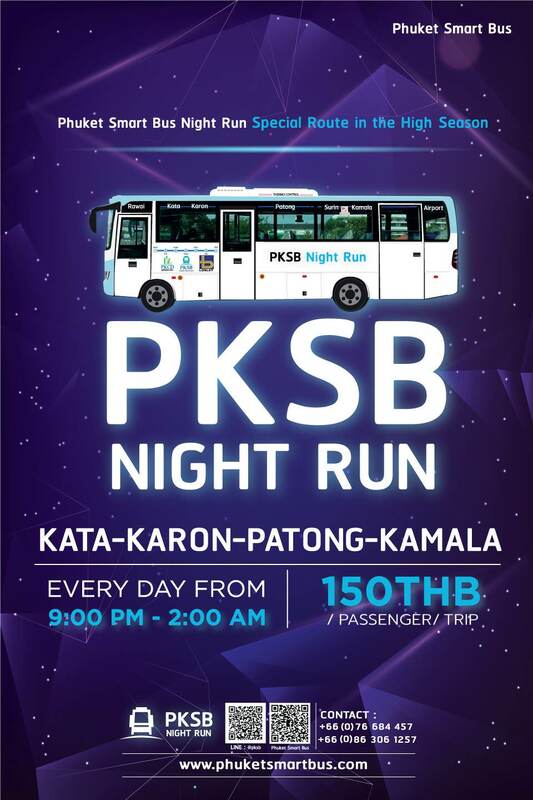 On the other hand, it can be a fun experience at the bus is open an open-air one and it give you the ‘local feel’. 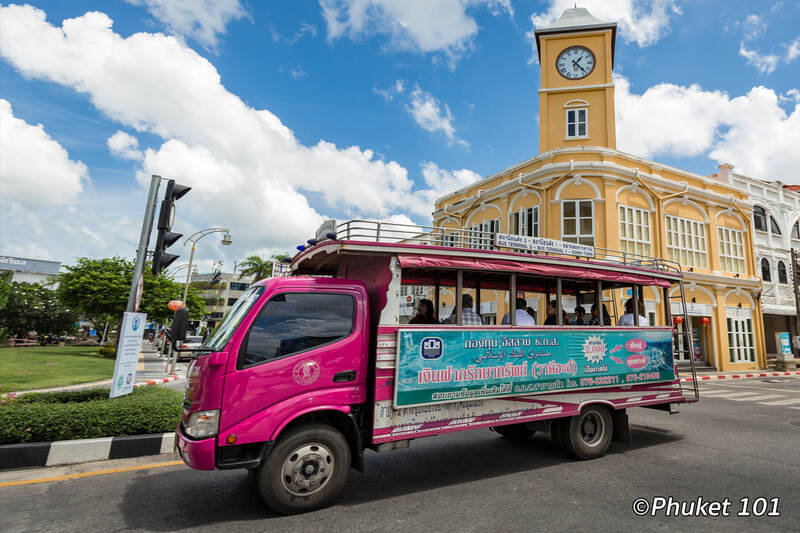 The Pink Bus is also a converted truck that circulates only around Phuket town, using four different routes as indicated on the map. 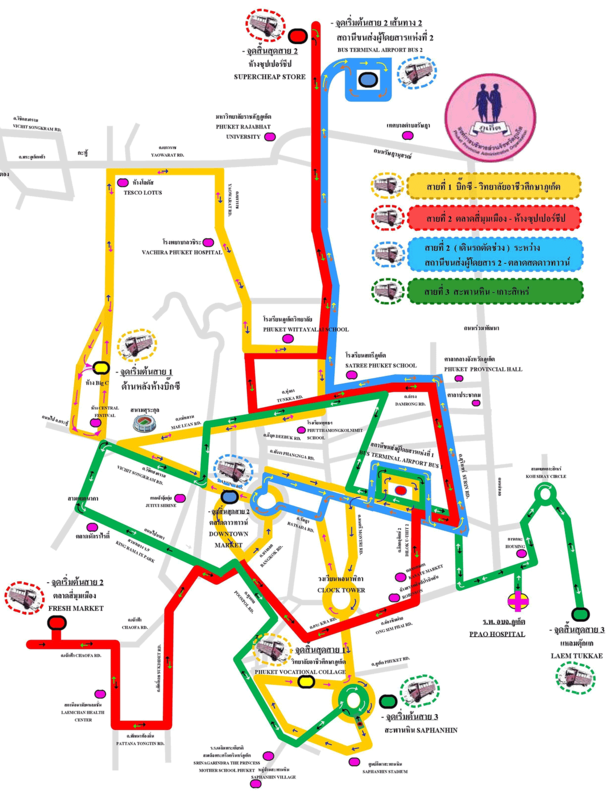 The fare is only 5 baht whatever route you use.